This is where our truck was when it was stolen at 3am on January 12th. Lame. We got this truck from my grandma when she passed and it was stolen on her birthday. Even lamer. Truck is a tan 1999 F350 XLT 7.3 with only 88k miles on it. Whoever took Truck took more than just a vehicle. This truck is a significant part of our jobs. 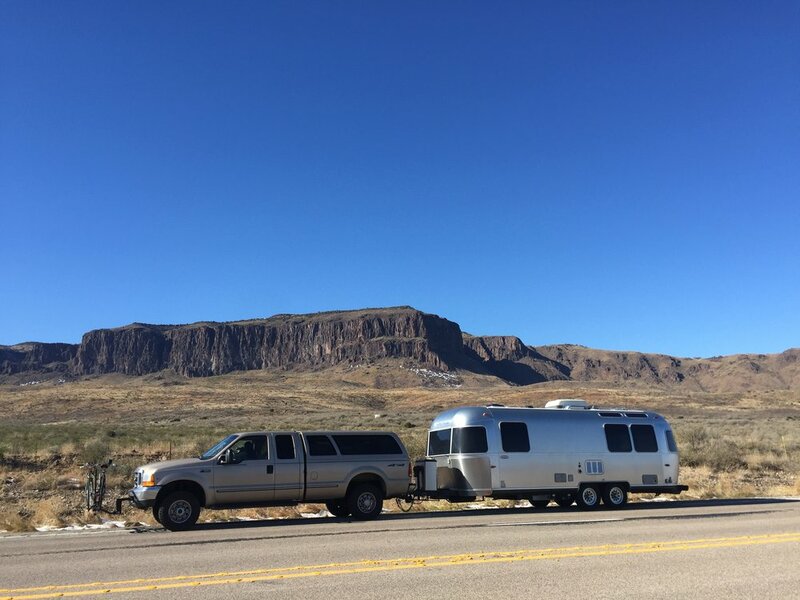 It carries canvases and supplies in back as it tows our airstream across the country. My husband just installed a bedslide in back and built the most wonderful storage rack to hold my paintings—whether they were wet or dry the rack allowed them to ride safely. Just. So. Lame. A neighbor has cameras and so we were able to see the truck be stolen and know what time it happened. Thankfully the neighbors are all really helpful and friendly. And so were the NOLA Police. They were here right away and took a full description down to the Seabee and MUSES magnets on the tailgate and the "In Memory of Kyler Talbot" sticker on the canopy. A couple days later a detective showed up at our door to follow up. They are running the plates through the city and parishes' camera data base in the hopes to get a hit and at least track down a direction that the truck was taken in. That part is not lame. That technology is cool. Where is Truck now? When should we file an insurance claim? Will he be returned? Do we have to buy a new truck? All things to think about as we wait for news. I'm hopeful that he'll be returned and that we can get back to work. Back on the road.